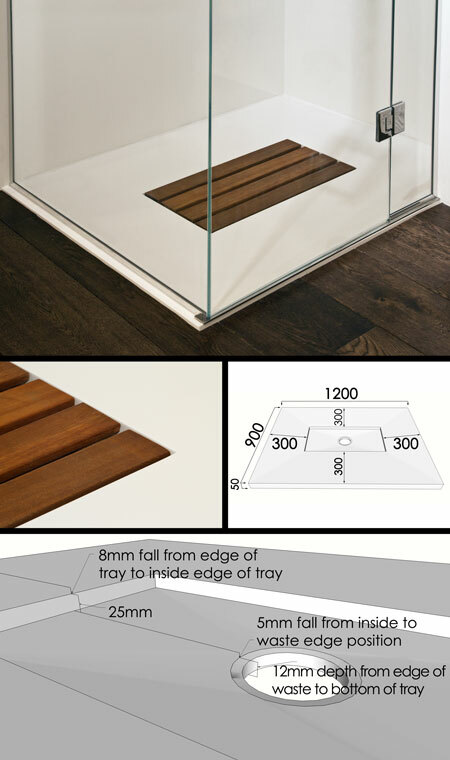 This designer shower tray with a wooden insert is a beautiful design feature within a bathroom. Supplied with a high quality hardwood footboard (from sustainable sources of course) and with contemporary styling this low shower tray easily adds design to contemporary bathrooms. Made in rigid fibre resin, this stylish tray will give a long trouble free life. * Designer shower tray styling. * Made of rigid fibre resin. * Real hardwood timber insert.